It was in 1964 that G. Rajendran founded GRT Jewellers, in the fast-growing shopping hub of Chennai (formerly Madras). Subsequently, a new showroom was added on Coats Road, T Nagar, Chennai, reflecting changing tastes and needs of customers. This showroom also boasts of the largest diamond floor in Chennai. 'GRT Silversmith' is an exclusive silver jewellery collection introduced by GRT Jewellers. The overwhelming response to this collection called for a separate showroom of its own, housed at Chennai next to GRT Jewellery Saving Scheme Section and shop-in-shops across all its branches. 'GRT Oriana' Statements in gold begin at Rs.3000 another successful GRT Collection targeted at young women between 18 and 35 years, and offers gold and diamond collections that can be worn daily to work, campus or to a party. housed at First Floor, Phoenix Market City, Velachery. 044 6457 1515, and shop-in-shops across all its branches. GRT is today a well diversified business group with interests in hospitality, agriculture, education, trading and renewable energy resources like Solar and Wind energy. GRT Hotels & Resorts is promoted by GR Thanga Maligai, to bring alive the GRT "promise of more", our corporate identity is formed by three golden circles. They suggest infinity, fluidity, and willingness to encompass change, while the intensifying hues of gold symbolize the warmth that is hallmark of GRT. Most fine hospitality groups will provide you with impeccable service, luxurious comfort, delicious cuisine, and a host of amenities to make your stay with them perfect. You won't miss any of these at GRT. What will come as a pleasant surprise though, is a variety of little touches that can’t be billed, or advertised, or featured on a menu. The more we aim to please, the more you begin to expect of us. The more you expect of us, the more we strive to make you happy. The thoughtful little gestures that make you feel truly welcome. The unexpected little treats that come from viewing hospitality as more than a business. What we've come to call - the promise of more. The GRT Group of Education Institutions is promoted by Mahalakshmi Education & Charitable Trust. This Organization was initiated by the visionary Sri.G.Rajenderan – the chairman of the GRT Group. The sheer dedication and commitment in offering quality education has made GRT Group of Education Institutions grow from strength to strength each year. Today the group comprises GRT Mahalakshmi Vidyalaya Matriculation Hr.Sec. School, GRT Institute of Engineering and Technology, GRT College of Nursing and GRT College of Education. Each one has come to be known as reputed institution of its own field. GRT Mahalakshmi Vidyalaya Matriculation Hr.Sec.School was established in the year 1992 and has progressed qualitatively and quantitatively. IT is ably led by the dynamic educationist Smt.Jayasree Rajesh. The school strives in giving the students an all-round education with strong focus on Indian ethos and values. The GRT Teachers’ Zeal to excel reflects in its academic records.For the past 10consecutive years the school has achieved 100% results in 12th and 10th standards. The GRT College of Nursing was founded in the year 2009. This college us a home to thriving community if talented students of different ages, and from different backgrounds. The college integrated highest teaching standards with excellent clinical experience. Thereby creating nurses and healthcare support staff who offer medical care with human touch. GRT Group of Education Institutions aims to provide not only quality education in engineering, nursing and education, but also mould each student into a responsible progressive citizen. The group strives to instill talent, creativity and discipline in each student enabling them to enrich themselves and world around. And over the years, the institution has delivered that promise time and again. GRT takes a comprehensive approach towards environmental responsibility. 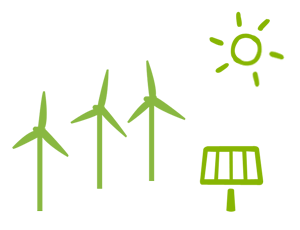 Our own renewable energy producing sources – windmills produces 25.9 megawatts of energy and our overall captive conception is just 8.5 megawatts that means we’re producing 32.81% more energy than our actual conception volume. Recently we have invested on 15 megawatts solar energy production units at Tamil Nadu as a small contribution to our environment and planning to increase 10 more megawatts by this year end. We’ve dramatically reduced the environmental impact of our institutions and we continue to invest in ways to produce more renewable energy and lessen our carbon footprint even more. Awards and accolades have been an important part of the GRT Jewellers success story. 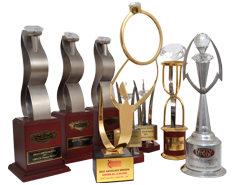 The company has bagged several recognitions at the Indian and global levels.